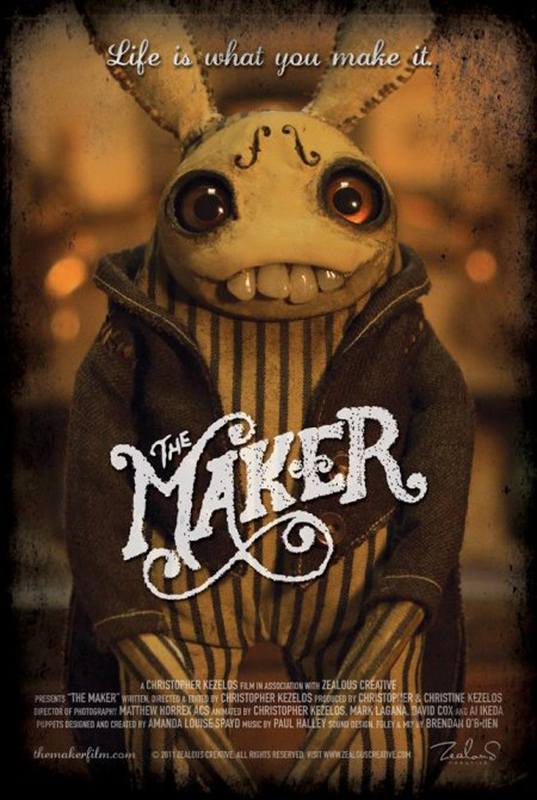 Behold this amazing short film The Maker by Zealous Creative featuring the puppet creations by the amazing Amanda Louise Spayd. Up until recently, the film was doing the festival circuit which made it only accessible to those attending the fests, but now this amazing and wondrous film is for the world to view. The Maker tells the story of “A strange creature races against time to make the most important and beautiful creation of his life”. In it you can see Amanda’s skillful doll creations come to life with expressions and movement like never before. What a great short film!